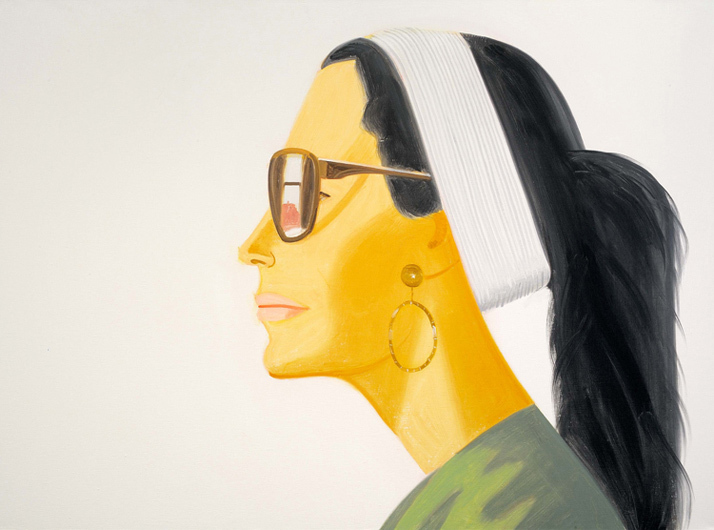 One of my favorite painters, Alex Katz, turned 88 on July 24. Still painting. Still inspiring. Still striving. And, competing with “the kids,” he says. In looking anew at Katz’s work, I was reminded of another great artist, Giovanni Bruzzi. I had the privilege of representing Giovanni here in the States for a time in early 2000. 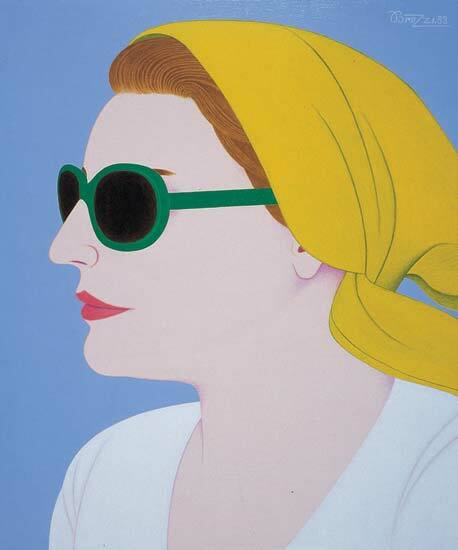 Katz and Bruzzi’s work, to my mind, is very similar—strong compositions, flat colors and frugal brushwork. Born in Florence, Italy—the grandson of Italian painter, Stefano Bruzzi—Giovanni began his art career in Paris, France during the 1960’s. One of the first important exhibitions of his work was organized by Marc Vaux (not to be confused with the British artist of the ’60s) at the Galerie du Foyer des Artistes in Montparnasse. Vaux, nicknamed “the photographer of painters,” was a close friend of Henri Matisse and other artists. 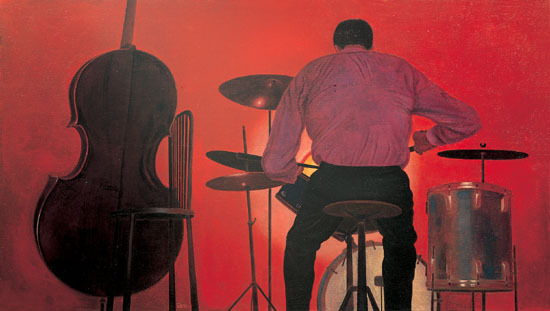 During this time, Giovanni became friends with writers such as André Breton, the founder of Surrealism, and musicians like Kenny Clarke, one of the founders of bebop and inventor of modern Jazz drumming. Although achieving critical acclaim in Paris, his art sales were not enough to sustain his Parisian lifestyle. To support his family during the early years of his artistic career, Giovanni took jobs in the gambling underworld of Italy—working as a “banker” in the illegal casinos of Rome and Florence. With those years well behind him, Bruzzi is very candid about his early associations with Italy’s underworld. His paintings from this period feature colorful portraits of the gamblers, cardsharps and mobsters who befriended him as a young man. It was during the gambling years that Giovanni achieved what most other artists only dream of—earning enough money early in his career that he didn’t have to work ever again at anything other than his painting. In 1986 and 2001 Bruzzi collaborated with Italian film director Pupi Avati on the screenplays for the highly successful films “Regalo di Natale” (Christmas Present)—a story about an all-night, high-stakes poker game played on Christmas Eve and its sequel, “La Revincita di Natale.” Giovanni is a frequent guest on Italian television, where he shares with equal expertise his knowledge of Italy’s fine arts community and its gambling underworld. 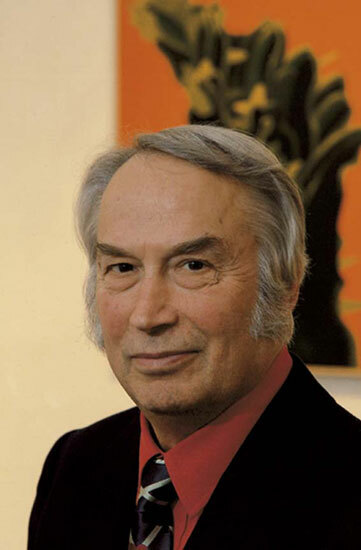 In 2006, Bruzzi was made a Knight of the Italian Republic for his service to Italian art. 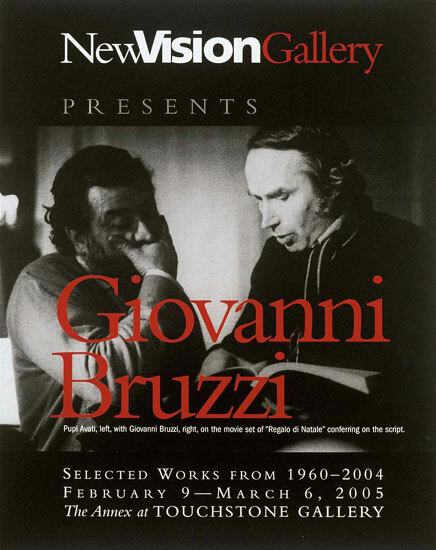 Poster for Bruzzi exhibition in Washington, DC sponsored by Stephen Hall. Pupi Avati, left, with Giovanni Bruzzi, right, on the movie set of “Regalo di Natale” conferring on the script. 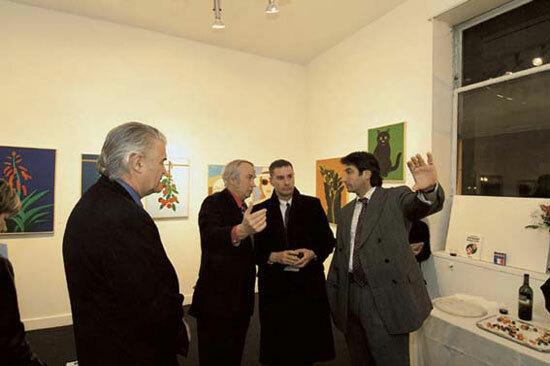 From left to right, Stephen Hall, Giovanni Bruzzi, collector, Diego Bruzzi at Bruzzi show in Washington, DC, 2004. Posted in Personal and tagged Alex Katz, André Breton, Blue Note, Kenny Carke, representative art. Bookmark the permalink.